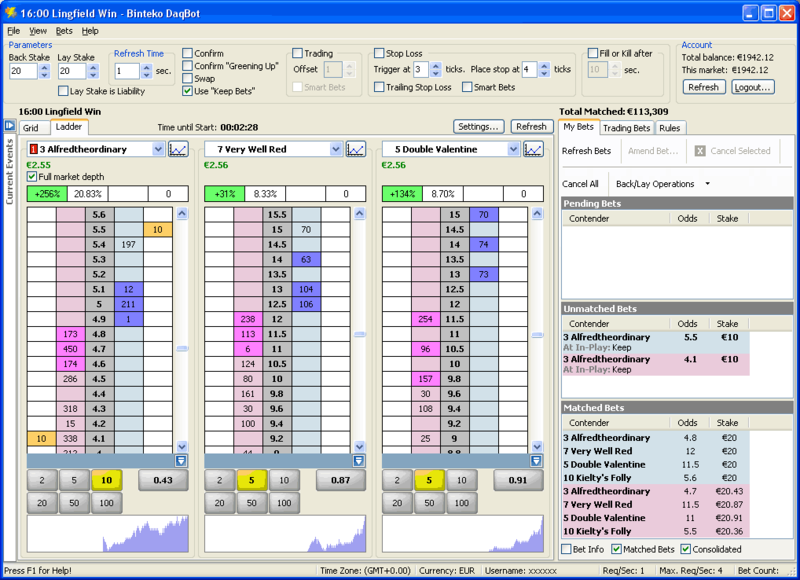 Looking to start trading on BetDaq and already have FairBot to trade on Betfair? DaqBot is the product for you! Using the already proven sophisticated technology that gives you top of the range betting facilities on Betfair, the same look and feel of FairBot can now also be applied to BetDaq… Why win on one exchange when you can win on two! If you are already a BetDaq user, or a native Betfair site user who also wants to exploit BetDaq, then DaqBot can help you to improve your performance by giving you many facilities that are not available to you on either of the exchange sites. All events covered by BetDaq are immediately available and the main improved facilities for your use are listed below. 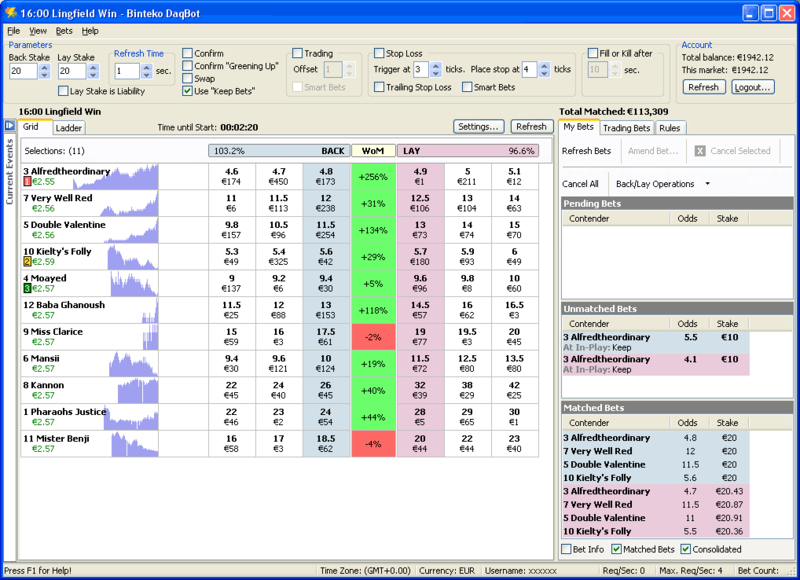 Ability to refresh any event to as low as 0.2 second intervals, much quicker than Betdaq itself. "Moving Average" and "Bollinger Bands" charts on contender details screen. Display the 1st 2nd and 3rd Favourites as dictated by the market on Betdaq. Full Betdaq API support. This protects DaqBot from any future changes made to the design of the Betdaq web site. System Requirements: Windows 98, Me or Windows NT, 2000, 2003, 2008, XP, Vista, 7 and 8. 32-bit and 64-bit.